A brand known for championing self-expression, Vivo, the 5th largest global smartphone, has recently released its latest flagship the Vivo V9 which is equipped with the ever-fun and enjoyable AR Stickers. AR Stickers are decorative stickers one can use to jazz up their selfies. Cute and with a wide array of designs to choose from, the Vivo V9’s AR Stickers level up selfies the delightful way. The AR Stickers work best with Instagram and the platform’s popular Instagram Story. One can be a crowned princess, a bashful bunny, a darling kitten, and a multitude of other “kawaii” personalities with this Vivo V9 special built-in feature. But, you can count on AR Stickers’ versatility as the feature may be used even with other mobile applications. 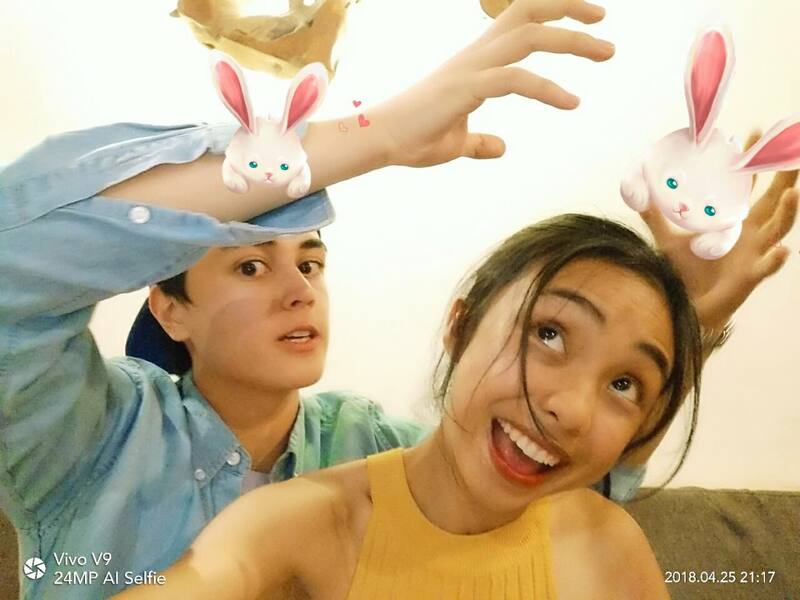 The AR Stickers is a special app built-in for the Vivo V9 which is slowly gaining popularity for the flawless selfies it produces. The Vivo V9 smartphone is an artificial intelligence (AI) selfie camera with a 16 MP+5 MP dual-camera setup. Much like its predecessors, the V7 and V7+, the V9 also rocks a 24 MP selfie camera that comes with features like AI Face Beauty Natural Light, Studio Light, and Monochrome background which brings selfie-taking with the new Vivo smartphone several notches higher in the quality scale. Selfie-fans will also benefit in the ample phone display of the Vivo V9 as it could improve the overall composition of every photograph taken, with enhanced clarity and definition. The V9 also packs in a Qualcomm Snapdragon 626 processor which boasts of a high-caliber CPU and GPU performance, making smartphone gaming and entertainment experience notches higher above all the rest. The Vivo V9 with its many thumbprint features such as the AR Stickers come in pearl black and gold and, most recently, is priced at only Php17,990.00.